MWN Blog: Is summer over? And will Harvey visit the Mid-South? Is summer over? And will Harvey visit the Mid-South? Yet here we are with a week left in August, knowing that we've historically had some hot Septembers, basking in early fall weather featuring low humidity, not-too-hot highs in the mid 80s, and very comfortable mornings in the 60s. Of course, that begs the questions - "Is summer over?" "Have we seen our last 90° day?" Well, our forecast has no 90°+ highs through the end of August. 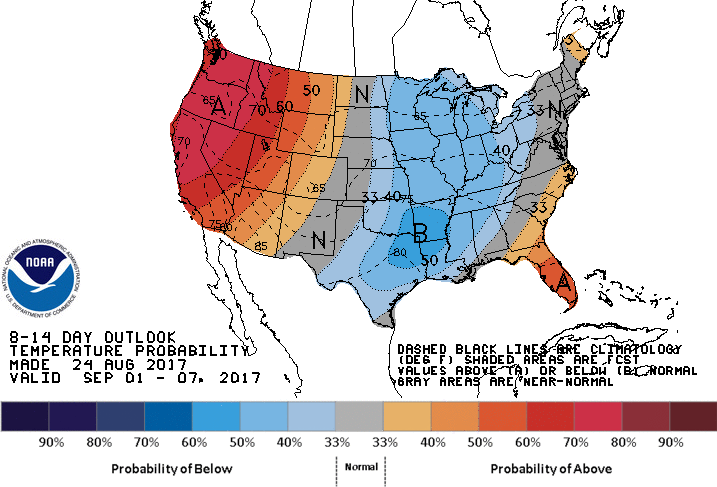 And the week 2 outlook from NOAA for the first week in September (below) gives us a high chance of below normal temperatures. Indeed, even the long-range model outlooks show a decent chance of below, or perhaps near, average temperatures into the middle of September. By the time we get to mid-September, average temperatures are about where they are right now - in the mid 80s in the afternoon and mid 60s in the morning. In other words, the "expected" trend here is for roughly this temperature patter to continue for the foreseeable future. Does that mean we won't reach 90° again? No. But as we get towards early fall, the likelihood of dewpoints that cause a 90° day to feel like 100° is also not that high. In other words, even if we get a "warm" day that sees a high temperature that starts with 9, it probably will be just that - a pretty warm day, but not a sweltering one. A couple of facts: record high temperatures at or above 90° have occurred into mid-October, and the average last 90° day is September 19. We aren't there yet! 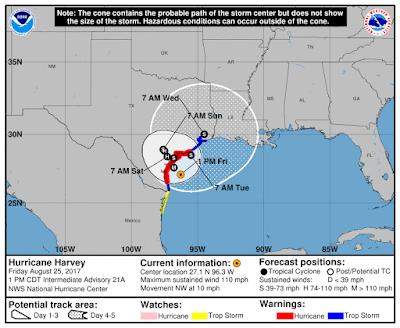 Nationally, all weather eyes are trained on the Texas coast as Hurricane Harvey. 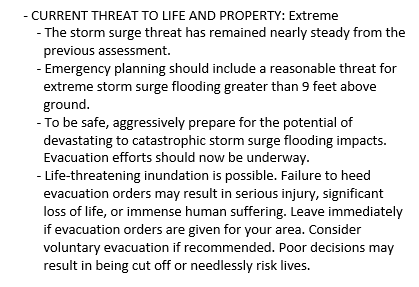 With wind speeds bumping category 3 strength and minimum pressure, expected storm surge, and forecast rainfall on a category 4-5 level, it's worth your attention. Exploding from a Tropical Depression Wednesday night to a category 2 storm last night, Harvey is ready to make its presence known over southern and eastern Texas and at least the west half of Louisiana. 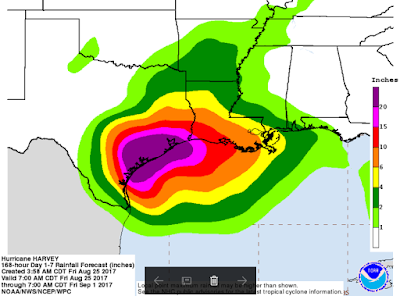 Projected rainfall amounts are ark-worthy, which I find particularly disturbing for Texas, where sometimes everything does seem bigger. I fear the images we see from the Lone Star State this weekend, and continuing into early next week, will be unconscionable. The battering that the coastline and near-shore areas take from 100+ mph wind and storm surge that is higher than any person alive is tall could somehow be overshadowed by the two to three FEET of rain that falls across parts of the region. I'll leave the reporting and forecasting for those areas to our south to other experts in those areas. However, this will be a long-lived, high-impact system. 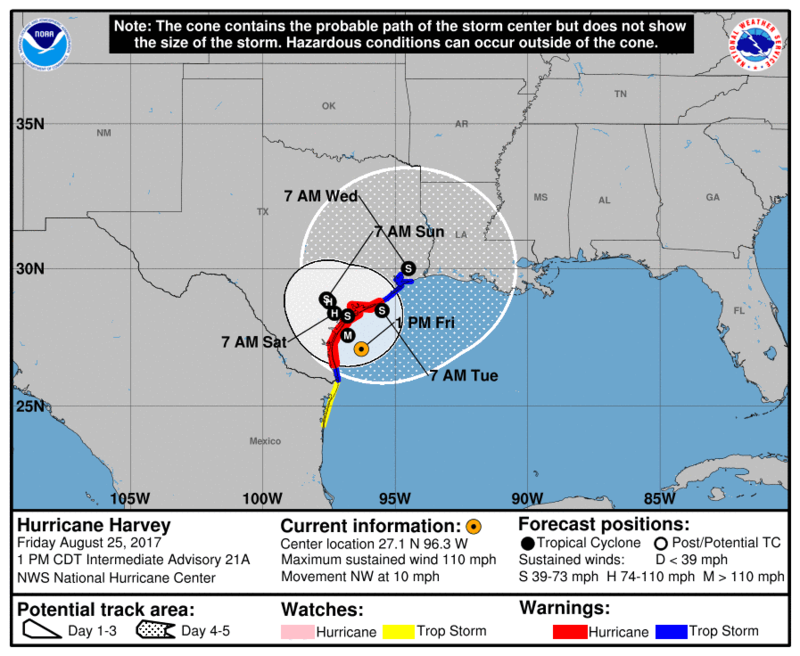 It will take days to move out of the central Gulf Coast region, which makes the forecast for Memphis and surrounding areas that much more difficult. 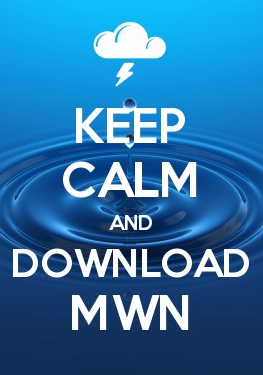 For more information, visit the MWN Tropical Page.